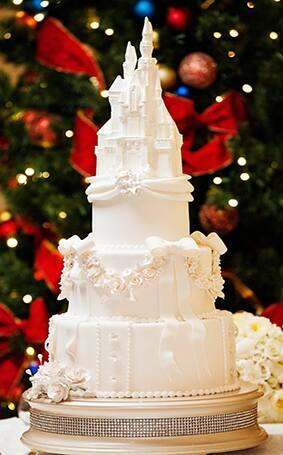 What better way to shake off those winter blues than with a stunning winter white wedding cake? 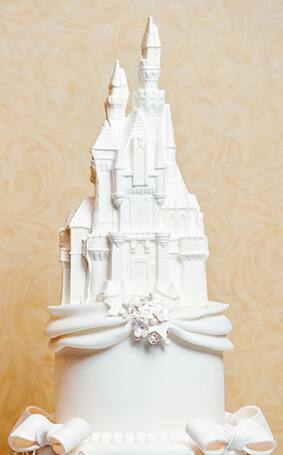 This week's Wedding Cake Wednesday is a beautiful tribute to Disneyland's Sleeping Beauty Castle. 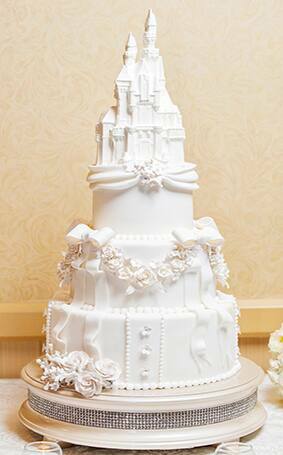 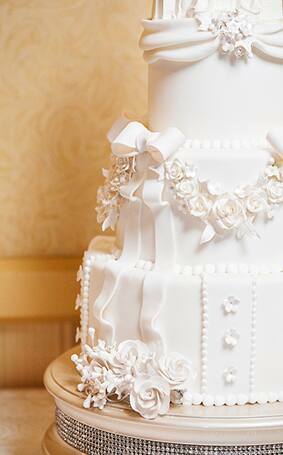 The three-tier stunner is adorned with roses, bows, ribbons and a white chocolate castle topper. 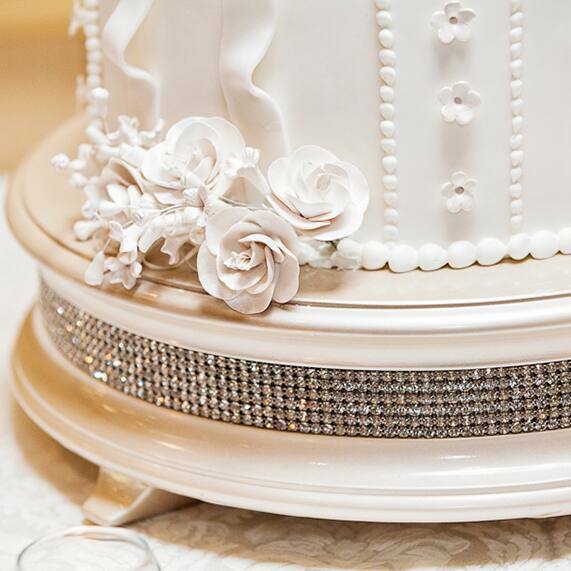 I especially love the rhinestone layer at the base that adds a touch of whimsy!